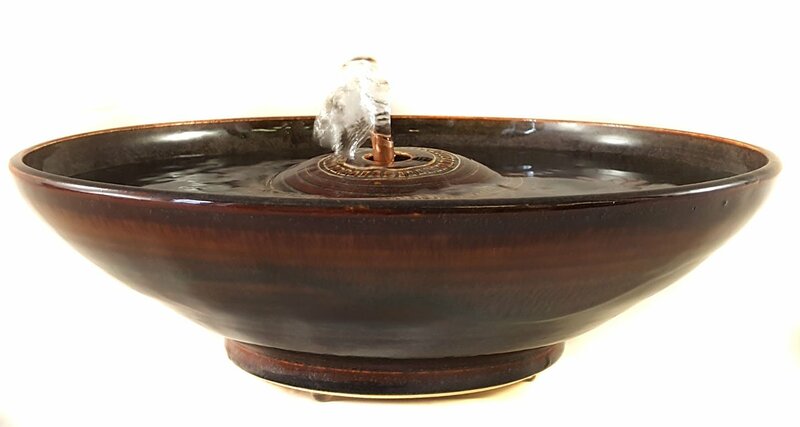 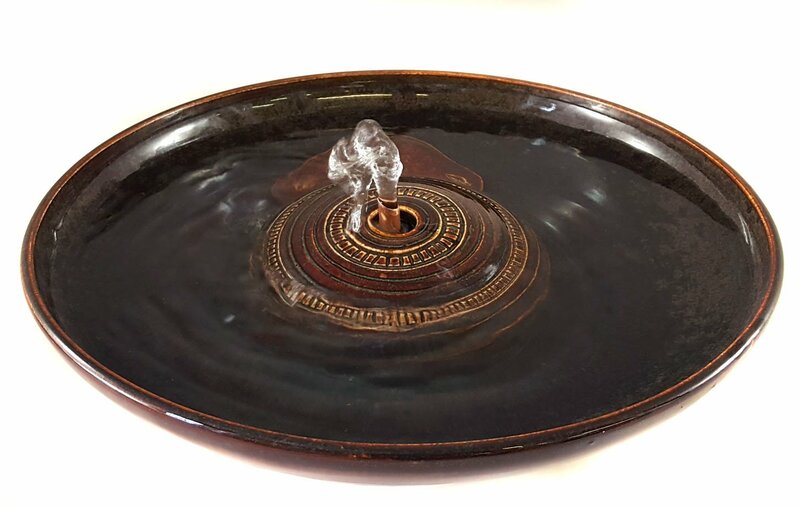 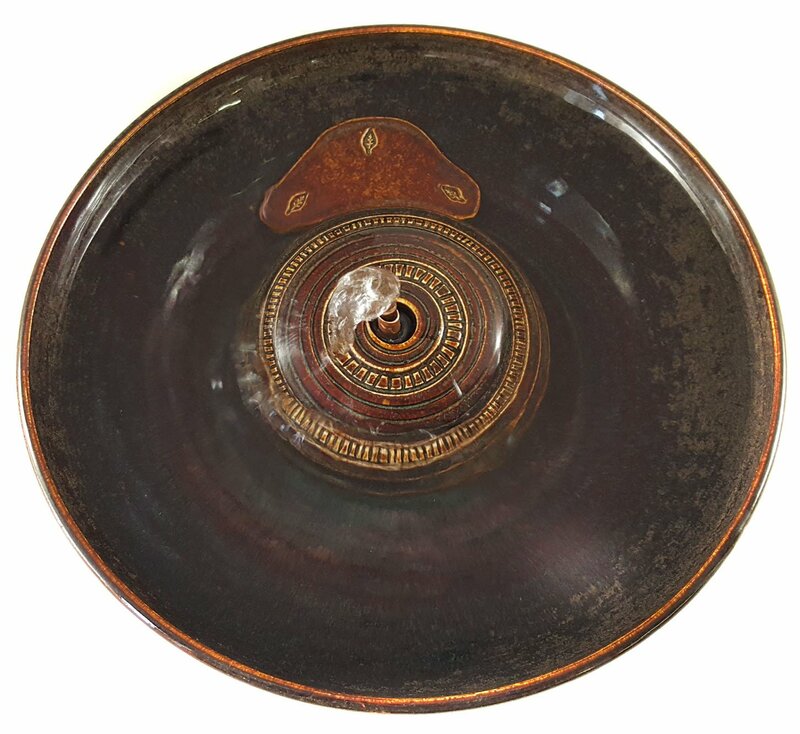 This bubble-up cat fountain is in our Mahogany glaze. Create a stream by adding a Cat Tap or Serenity flow you can swap in and out. * 3.25 inches high and 10.75 inches in diameter.